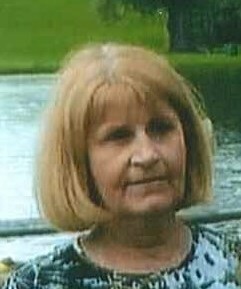 Elaine Mary Montague, 69, of North Syracuse, passed away peacefully with family by her side on February 5, 2019. Elaine was born in Syracuse, NY on October 31, 1949 to the late Vincent and Mary Corey. Elaine was an influence in many people’s lives. A pastor’s wife, she enjoyed teaching bible principles to many children and adults over the years. In her free time, she loved to read, to walk, doing outdoor activities and spending time with family and friends. She is survived by her Husband of 34 years, John Montague; Son, Joshua Montague; Daughter, Meagan Montague; Siblings, Vincent Corey, James Corey, Sharon Corey, Jeanne (Marty) Schaefer; Nieces, Allison Schaefer, Kendall Schaefer and Autumn Harrington. Visitation will take place on Saturday, 10 AM-1 PM at North Central Assembly of God, N. Syracuse. A service will follow at 1 PM. Burial will take place Monday at 10 AM in Pine Plains Cemetery, Clay. To share a memory of Elaine, or leave a special message for the family, please click the share memories button above. Add your memories to the guest book of Elaine Montague. Our deepest and heartfelt sympathy goes out to you. Elaine was a special friend and person. She left a huge whole in the lives of all who knew her. No matter your mood when you saw Elaine and her smile she instantly made you feel better. Although she will be greatly missed by her family and friends, she's rejoicing with family and friends gone on before her. We are sorry we weren't not able to be there with you in person, our prayers were with you. Elaine was a special person in my life growing up. She was kind to everyone and made you feel special. I will miss her greatly. Prayers for the whole family. Elaine was always such a positive person. Some of my earliest memories involve her. She was a perfect hostess and her lasagna will forever be remembered. She always had a smile on her face. It was my privilege to know her! Now, she's with God! No more tears or pain. We were so sad to hear about Elaine's death. She was a special cousin and meant so much to me. I will never forgot all the good times we had growing up as next door neighbors. As were are older and drifted apart geographically, we somehow seemed to stay close. I remember visiting her in Booneville. She was a very giving person, that was evident in the way she took care on my mother, her aunt Marilyn. We will forever be grateful for that. Her husband and kids were her world. It is a joy to know that she is with the Lord. My warmest condolences and expressions of sorrow to Elaine’s Family. She will be missed by all. May the word of God, which she cherished so deeply, be of comfort to you during this most difficult time. I share this passage at 2 Corinthians 1:3,4 in hopes It will help along with the precious memories you shared. What comes to mind when I reflect on Elaine was her ready smile and easy laughter - she was a woman who brought gentle joy to a room, a woman of faith and grace, lovely outside and in. So sorry. For. Ur loss. Prayers. To the Montague family. I love you, Mom. You were the greatest mother I could ever ask for. I'm going to miss your hugs, your voice, and your unconditional love.